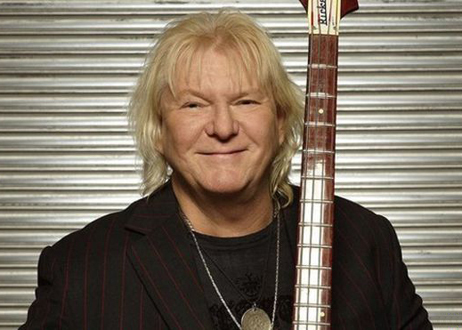 Yes bassist and co-founder, Chris Squire, died on Saturday, June 27, at his home in Tucson, Arizona. He was 67. Squire had taken a leave of absence from Yes last month after he was diagnosed with a rare form of leukemia. Widely regarded as a "musician's musician," Squire - aka, The Fish - was one of the most influential bass guitarists in rock history, his progressive harmonic and melodic approach coupled with an aggressive attack and signature tone influenced such luminary low-end men as Geddy Lee, Steve Harris, and John Myung, among many others, forever changing how the bass guitar was played and viewed in the process. Tommy Emmanuel is one of the most jaw-dropping guitarists on the face of the planet. But it's not just his otherworldly technique that has garnered him such respect as a player, it's also his beautiful melodies and harmonies. For an inside look at how the man upon whom Chet Atkins bestowed the esteemed title "Certified Guitar Player" creates this magic, check out the 24 brand-new note-for-note guitar tabs we just posted. Songs include "Tennessee Waltz," "Haba Na Haba," and "The Fingerlakes," among others. Prog-stoner rockers Mastodon have just released the official music video for "Asleep in the Deep," the third single from their 2014 album Once More 'Round the Sun. Driven by chiming, open-string arpeggios and a propulsive rhythm section, the song points more toward the progressive sounds of Rush than it does to the band's sludge-metal roots. Pay special attention to your time and rhythm while playing the main riff. When you listen to the tune, you'll note that guitarists Brent Hinds and Bill Kelliher never rush the lines, including the hammer-pull combinations which are far too easily accelerated if you're not careful. Our exciting G-Plus Song format combines guitar tab, a full-band backing track, and video instruction for the most comprehensive and in-depth guitar song lessons available online. Click here to browse all of our G-Plus Song lessons, including classics and hits from Deep Purple, Gary Moore, Def Leppard, James Taylor, and Taylor Swift. Yesterday, June 9, 2015, marked what would have been Les Paul's 100th birthday. Tributes to the late guitarist were all over the Internet yesterday, but last night's star-studded event at the Hard Rock Cafe in New York City's Times Square took the proverbial birthday cake. The show featured performances from such iconic guitar heroes as Joe Satriani, Steve Vai, Neal Schon, Joe Bonamassa, Steve Miller, Warren Haynes, Johnny A, G.E. Smith, and Les Paul sideman for nearly 40 years, Lou Pallo. See the video below for an all-star jam on Freddie King's timeless blues "I'm Tore Down." In addition to the tribute concert, June 9th was declared Les Paul Day and the start of a year-long celebration of the famed guitarist and inventor. It also marked the debut of Les Paul's Big Sound Experience—a 53-foot long interactive mobile exhibition of sound and technology innovations, music exploration, and hands-on entertainment. The mobile tour will visit cities across the country until late May 2016. For more on Les Paul, visit the Les Paul Foundation web site. People frequently ask how often they should change the strings on their guitar. They know strings don’t last forever, but it’s a bit of a mystery knowing when to get new ones. Like most things with guitar, the exact answer varies and it’s more art than science. Not all guitarists play the same. We all have different playing habits and environments that impact how often our guitar strings should be changed. Even the tone quality you want from your guitar plays a factor. In practice, most players either change their strings every month, before every gig, or once the strings break. The more often you change your strings – the less likely this will happen! • How often you play. Playing for hours every day is going to wear down your strings faster than if you played once a month. • Cleaning your strings. If you wipe them with a cloth after playing, you’ll remove the oils from your hand and reduce their wear. Similarly, if you wash your hands before playing, you reduce the amount of dirt that gets on your strings. • The weather. Humidity plays a big role. The more humid an environment, the faster your strings will wear. Keep in mind that the wood in your guitar is also prone to drying out if there’s not enough humidity, so don’t store your guitar in a location that is too dry. • The guitar can’t stay in tune. If you’re having trouble keeping your guitar in tune, or if it goes out of tune after a few days, then it means your strings have lost their strength. • The tone is dull. This one is hard to tell, but newer strings have a brighter tone. If your strings are old and you feel that the tone is dull and mellow, consider changing your strings. Some people like that dullness and want that sound, so in that case – don’t get new strings! • The strings get discolored as they age. Your thickest three strings (low E, A, and D) will lose their bronze color. Your thinnest three strings (high E, B, and G) will show grayness. Once you start seeing different colors on any string, you know it’s time for new ones. • Dirty strings. If your strings are dirty and greasy, and wiping them down doesn’t help – it’s time to retire them. Inflexibility. As strings age, they become stiff and it’s harder to slide, bend, and fret. If the strings feel rougher, and inflexible, it’s probably time for a restringing. So, how often should guitar strings be changed? A good rule of thumb is to change them every month. That’s assuming you’re playing often, i.e., every few days. If you’re playing schedule is more sporadic, you can get away with every few months. Many people change their strings before every gig. There’s also the other extreme – only changing strings when they break. Since all players are different, your best bet is to check your strings and look for the warning signs that appear when they’re wearing out. Finally, if you’re picking up an old guitar that was lying around your house and you’re not quite sure how old the strings are – it’s probably best to go ahead and put new strings on. The sound will be brighter, and it’ll be easier on the fingers. Thanks to Alexander Soto for providing this content. Guitar is a unique instrument because so many distinct sounds can be created through effect pedals. A guitarist’s tone is like other parts of their music – melody, lyrics, rhythm – that helps create a unique voice. In the quest for a unique sound a variety of pedals have been invented, and sometimes it can be confusing to keep track of them all! In this article, I’ll explain what each guitar pedal does to your tone. I’ve grouped effects into five groups – distortion, time delay, dynamics, filters, and modulation. Each group changes your guitar’s input in a different way – some change the frequency, while others change the gain and power. I’ll briefly describe each effect’s purpose and how it works. In future articles I’ll describe each pedal individually and in more detail. Distortion is one of the most popular guitar effects. The sound is made by clipping the signal, which gives it a nasty, crushing, dirty sound. Every pedal is different, but in general they all boost your lows and highs, increase your gain, and alter the shape of your signal to create a distorted sound. Unlike some of the effects below, distortion pedals have approximately the same effect at any volume. Fuzz pedals add a specific type of distortion that gives it a fuzzy character. It alters your guitar signal into a square wave, and adds complex overtones to the sound. Jimi Hendrix’s “Purple Haze” is a good example of a song with fuzz. It was one of the first guitar effects built in the early 1960s. Overdrive is a subtle form of distortion that works by increasing your gain. The distorted sounds only occur with louder playing. It creates a more natural sound, and creates an effect similar to pushing a tube amplifier to its limit and “over-driving” the signal. Delay pedals play back your guitar’s signal with a slight lag. This creates an echo effect, and can be adjusted to provide depth to the sound, similar to reverb, or to build an ongoing repeat that creates a musical canon. The Edge from U2 is known for his use of delay. A much subtler version of delay, this adds depth and ambiance to your tone. These pedals emulate the reverb created when you play in a large concert hall or cathedral. Many amps have this functionality built in, but there are reverb pedals for those who would like more control. A more extreme version of delay, looping allows you to record a lick on the spot, and play it back continuously. These pedals allow you to record anywhere from minutes to hours of playing. Loop pedals are great for improvising – they can be used to lay down rhythm layers, and then you can solo over them. Volume pedals allow you to control your guitar’s loudness level with your foot. You can use it to add expression, or add a tremolo effect (quickly increasing / decreasing the volume). They’re simple, but useful. Boosters are simple – they boost your guitar’s signal, without distorting your sound. They are a “clean” volume increase. In practice however, they are used to drive your amp harder to increase distortion at lower volume settings. They can also be used to increase your volume cleanly during a solo. Compression pedals normalize the dynamic range of your signal. That means that softer sounding notes will be louder, and louder notes will be softer. This cleans up playing and creates a more even sound. It’s also used to sustain notes longer. Since compressors increase quieter sounds, as notes fade out the pedal is increasing its volume – therefore increasing how long it sustains for. Noise gates control the output of sound. They only let sounds through after it reaches a specific threshold. These pedals are a great way to reduce noise from your pickups or other effects, as the gate will only let sound through if you’re actively playing. They can also be chained with other effects to create original sounds. Wah pedals change the frequency response of your tone as you move the foot pedal. That means as you adjust the pedal, certain frequencies become more prominent than others. It creates a wah-wah sound, like a crying baby. It’s one of the most commonly used effects. You can hear it in Jimi Hendrix’s “Voodoo Child”. An EQ box lets you control the output of different frequency bands. Equalizers are commonly used by recording engineers to balance the final recording, but can also be used on your pedalboard to adjust your tone before it gets recorded. It’s an easy way to increase/decrease your guitar’s treble, mid, or bass. One of the more unique pedals, the talk box is a pedal that changes your tone based on the shape of your mouth. The pedal has a plastic tube that you place in your mouth, and the sound travels through the tube. You then position yourself near a microphone so that the sound is amplified. It sounds like your guitar is speaking. Bon Jovi’s “Livin’ on A Prayer” was made with a talk box. A chorus pedal adds a second signal that is slightly pitch shifted, and delayed. This creates an effect that is similar to multiple instruments playing at the same time. It sounds like a group of singers in unison. It creates a richer, more complex sound. Vibrato pedals do exactly what the name implies – it adds vibrato to your sound. Vibrato is a rapid back and forth pitch fluctuation. It can be achieved without a pedal by quickly moving your string up and down while playing. With a vibrato pedal, you can get this effect while playing normally. The tremolo effect is a rapid back and forth volume fluctuation. Tremolo is often confused with vibrato because it creates a similar feeling. But instead of changing pitch, it changes the loudness of your sound. It can be created by moving your volume knobs up and down, or getting a tremolo pedal. Harmonizers usually have two functions – they let you create harmonies with yourself or they can shift your pitch. To create harmonies, you set the pedal to the key and type of scale you’re playing (major, minor, etc.) and what key you’re in. You then set the type of harmonies you want it to play (up a 3rd, down a 5th, etc. ), and the pedal will create harmonies with every note you play. It’s also useful as a pitch-shifter. For example, you can drop your guitar down an octave and play low notes that normally aren’t possible on guitar. Phasers take your guitar’s signal and overlap a copy that is out of phase, or more simply, out of sync. It makes a swirling sound that can be varied in speed depending on the settings. It can also create a sound that emulates rotating speakers. Flangers are similar to phasers, but with a more exaggerated effect. Flangers also overlap a copy that is out of phase, but compared to phasers the signals are more out of sync and more feedback is used. It creates a “whooshing” effect. Compared to a phaser, it makes a more edgy, complex, and metallic tone. Ring modulators create a unique sound by multiplying your signal with another, distinct signal called the “carrier wave”. The carrier wave is normally harmonically dissimilar to your input signal. This dissimilarity creates wild sounds that are jagged and synth-like. You can create a variety of sounds by changing the settings of the carrier wave. Since there are so many different guitar pedals, one of the best ways to get started is by getting a multi-effects pedal. These emulate a wide variety of pedals and provides an all-in-one solution. They’re a great way to try out a ton of different effects to see which you like best. But nothing is as good as the original, so once you figured out what you like best, you can get those specific guitar pedals individually. Did we miss your favorite guitar effect? Let us know in the comments and we’ll add it.